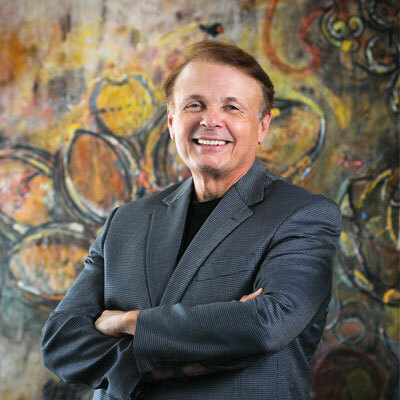 Dr. Larry R. Thompson became president of Ringling College of Art and Design in July, 1999. As head of this premiere art and design college in Sarasota, Florida, he is transforming the way people think about art and design and why businesses must embrace creativity to thrive in the 21st-century global economy. He also advocates for “shattering the myth of the starving artist™!” A lawyer and an educator, Thompson served as Special Assistant to the President of The Ohio State University, President and CEO of the Flint Cultural Center in Michigan, and was founding Executive Director and CEO of the Rock and Roll Hall of Fame and Museum in Cleveland, Ohio prior to joining Ringling College. He is the former President for the Association of Independent Colleges of Art and Design and currently serves as a member of its Executive Committee, is Chair of the President’s Council of the Independent Colleges and Universities of Florida, and serves on the boards of many local arts and civic organizations.